After many leaks, that practically revealed the design and specification of HMD’s upcoming Nokia smartphone under the number TA-1131, Nokia Mobile Chine invited the local media to a press event on 16th October, where a new device will be announced. It is speculated that the device will be called Nokia X7, while the International version of the X7 could be called Nokia 7.1 Plus and it might be announced in India on 11th October. We know almost everything about the Nokia X7, including that it will feature a 6.18-inch FullHD+ screen, Snapdragon 710, 4GB or 6GB of RAM, 64GB or 128GB of internal storage, a 12+13MP dual camera setup with ZEISS optics and a 3400mAh battery. 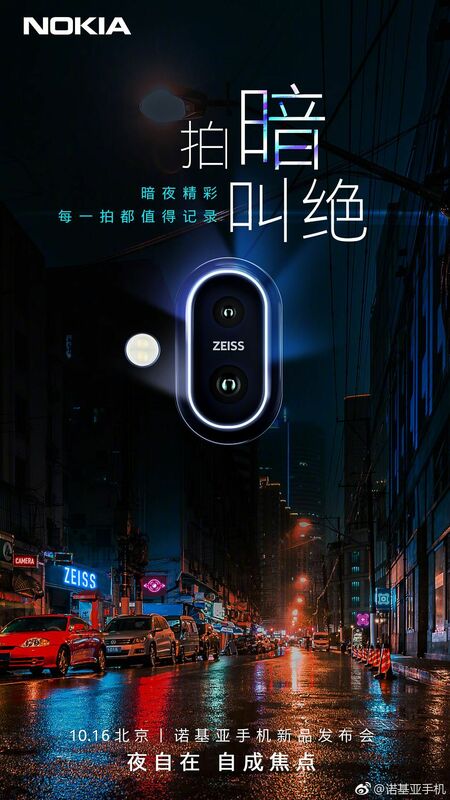 The teaser photo released by Nokia China clearly shows the dual-camera setup, LED flash, ZEISS-branding and a low ligh image of a street, probably suggesting improved low light capabilities, but we will have to wait for the 16th (or 11th) to know more. 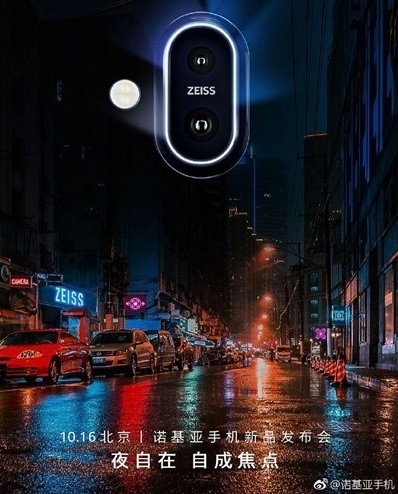 Also, there are some hints on the teaser image like the ZEISS store name, 1016 as car registration, “camera” as a store name and similar. If you can draw some conclusions from this, be free the leave your thoughts down below.